The glorious Palace of Westminister, home of the British Parliament, is falling apart (remarkable photos here) and simultaneously sinking into the underlying clay-rich earth. An independent report places the cost of repairs at Â£3.5 Billion. Presuming the planning fallacy holds, the actual costs will be even higher (for example, one wonders if the cost estimate considers the likelihood that digging under the foundation will uncover historical/architectural treasures that have to be preserved). … it is dark and dank. It is as if it has been designed to be off-putting and impenetrable. It is â€˜Hogwarts on Thamesâ€™ which is great if you have been brought up in an elite public school environment but bad if you did not. It has that smell â€“ you know the one I mean â€“ the smell of private privilege, of a very male environment, of money and assumptions of â€˜classâ€™. It is not â€˜fit for purposeâ€™ and everyone knows it. if we really want to breathe new life into British democracy then the dilapidation of the Palace of Westminster offers huge opportunities. The 2015 General Election is therefore something of a distraction from the more basic issue of how we design for democracy in the twenty-first century. Less MPs but with more resources? Less shouting and more listening? A chamber that can actually seat all of its members? Why not base Parliament outside of London and in one of the new â€˜Northern powerhousesâ€™ (Sheffield, Manchester, Newcastle, but definitely not Leeds) that politicians seem suddenly so keen on?…letâ€™s be very un-British in our approach, letâ€™s design for democracy â€“ Letâ€™s do it! Letâ€™s rip it up and start again! I agree with Flinders that physical spaces shape our behavior, our emotions and how we treat each other. Indeed, that is precisely why I do not want Parliament moved to some antiseptic modern office building in Sheffield. 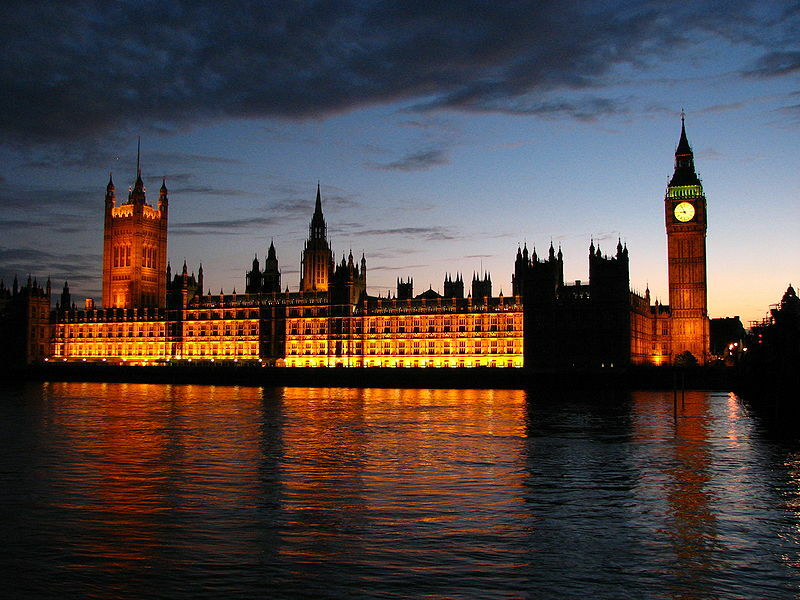 The Palace of Westminster and the spot on which its predecessor structures stood are sacred democratic ground. This is where a land ruled through Divine Right of Monarchs evolved to become one of the world’s leading democratic societies. The building itself does not belong to the politicians inside it but to the British people, and it should therefore be a beautiful, awe-inspiring place worthy of their greatness. And I want their elected officials to walk by the statues, the windows, the crypts and the carvings that convey the weight of history and with it the current generation’s comparatively small role in it (As President Obama says “We just try to get our paragraph right”). To wipe out that history will lead politicians to think that history starts with them, and that’s a perilous concept for democracy.